‘For Lease’, But Who the Hell Would Want it? Napier’s central city has yet another shame. No, not another pre-earthquake building being demolished. Although in all honesty they may as well bring in the bulldozers and put this place out of its misery. Mid City Plaza has to be the biggest, most vacant, saddest example of inner-city property currently going to waste in Napier. Running from Emerson Street through to Dickens Street, Mid City Plaza was for years filled with bustle and shoppers. A café, bakery, magazine store, toyshop, hairdressers, beauty salons, clothing stores, computer stores, furniture, rubber and plastic stores all filled the mall. Now it is cavernously empty. Inside, the glass windows and doors of the formerly thriving shops provide a bleak vista of bare, vacant shops. Giant sheets of plywood block the internal walkway between the CBD streets and the view of further emptiness beyond. An anonymous British investor (rumoured to be an English aristocrat – a member of the ‘landed gentry’) bought the complex in 2008 for $5 million. The investor was introduced to the property by Bayleys Property Services in Auckland and bought a number of other commercial investments in New Zealand. Talking to past tenants (and there are quite a few of them) revealed a major lack of communication between this new owner and tenants. Unrealistic rent rises in hard times and leases not being renewed in favour of planned (but never eventuated) chain stores were major factors in their leaving. Sound familiar? The mall has been almost totally empty like this for years. Where are all these other keen tenants waiting in the wings now? The Dominion Post reported that the Plaza as producing net rental income of $421,000 in 2008. This was when there were only two vacant, small shops in the mall. Once leased, they would have increased the potential rental income to $444,000. The anonymous Briton also bought two adjoining Emerson St shops, at the time home to Nectar Body Shop and Beattie & Forbes bookshop, for $955,000. Both locally owned and operated businesses and neither of them remained there for long – replaced, yet again, with chain stores. Unless Mid City Plaza’s owners are charging what few temporary “pop-up-shop” retailers come and go some very serious coinage, there is surely no way any value is been returned from the Brit-with-the-bucks almost $6 million purchase, with over ¾ of their purchase empty, boarded up and decaying. You have to ask: How is it better to have empty shops with high rents rather than charging less rent, but with loyal tenants filling your shops with people, activity and giving you continual income? To me, it surely isn’t rocket science. But, hey, I can’t afford to buy a shopping mall! This is not a good look for Napier’s main shopping street. It’s past time some action was taken. But what? A ‘name and shame’ campaign, perhaps? How about putting the heat on landlords who have increased their rents unintelligently. This might be an effective way of outing over-zealous landlords and commission-hungry agents and give the public a factual account of just how much is being asked for rents in the central city. But it won’t get shops filled any faster. Isn’t it way past time (over 3 years and counting) Napier City Council and / or Napier Inner City Marketing took a big step up? According to its Strategic Plan, NICM is mandated to provide a vibrant inner city environment; support inner city business prosperity and development, marketing Napier inner city as a destination for tourists and locals to enjoy; and, influence political, community and commercial leaders in the interests of stakeholders. How much impact has NICM had on this former mall and current disgrace? What have they done about it? 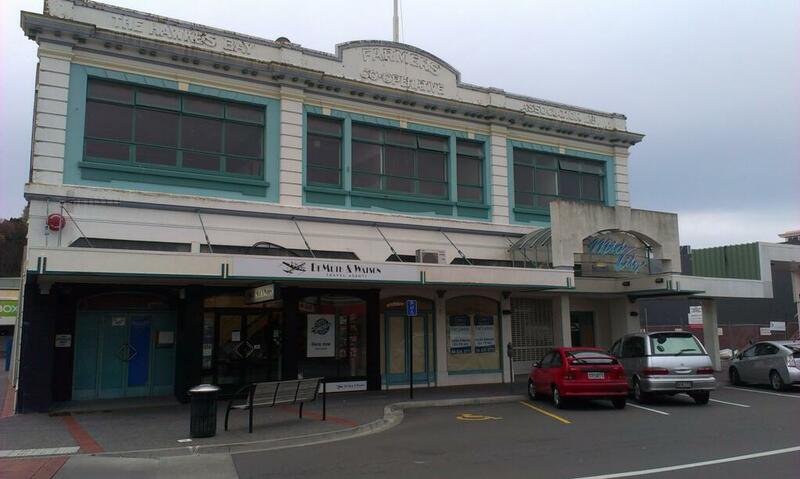 Surfing the net today I see Mid City Plaza (or at least a part of it) has been allegedly leased out by Colliers NZ. That’s such a shame. I was just about to call the agent and offer them $5 for the whole place. I do hope this new lease doesn’t merely refer to the fly-by-night carpet rug sale people currently occupying one of the empty shops. How long will it take for the extensive structural work still needed to make at least half the plaza habitable to be completed? How long until a decent new tenant occupies a major portion of the site and brings customers and other retailers back to the mall? And how long until Mid City Plaza’s owner wakes up to the disgrace their purchase has become? *Portions of this post are once again from a similar blog I wrote for BayBuzz over two years ago. Why does so little change in our City? 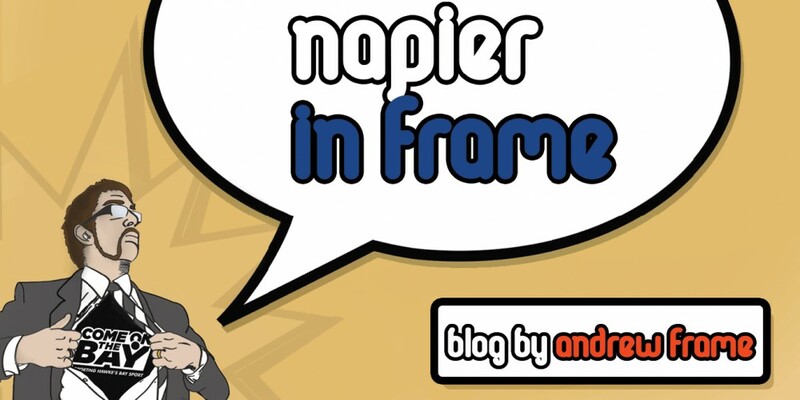 This entry was posted in Opinion and tagged Napier, Opinion by Andrew Frame. Bookmark the permalink. I am very aware of the mall that you have blogged about and remember the time this all happened. I am an English owner (not wealthy) of four shops opposite the Emerson St side of that mall. I was painting the outside of my shops when both tenants of Beattie & Forbes and Nectar Body Shop approached me about how worried and concerned they were re: their rent increases. Like you have stated they eventually moved out and made way for the big guns. I felt very sad for those people and angry that the law allows such practice but after 8 years of being a landlord and only one of my shops being continuously let and the other three having had several local tenants who were unsuccessful and most times leaving without completing their tenancy agreements and owing money, also feel very sorry for myself and partners in our business attempt. In my humble opinion the local councils do nothing but make life more difficult for landlords. We still have to pay business rates, insurance which soared from $4,000 p.a to $34,000 p.a since the Christchurch earthquake and other levies. I do not think it is high rents that keep these shops empty (certainly not ours). Internet buying has obviously made a huge difference to local high streets and the fact that New Zealand has so few people with so many retail shops, it seems to me very few people can make a decent living. I have recently inquired about change of useage for one of the shops and with hardly any discussion been turned down. They have what appear to be unchangable laws, not to be changed even when the whole world is changing around them. The council did have one suggestion, which was that we may consider letting our premises for low/no rent to the creative people out there to give them a leg up in the business world. No mention I might add that the council will reduce or forego our rates for such periods.